There are two kinds of endpoints in USP: Agents, and Controllers. A USP Agent is an Endpoint that exposes functions represented by a set of service elements. It is mostly designed to receive and respond to messages from a USP Controller, or send Notifications about activity that the Controller has subscribed to. A USP Controller allows users and applications to manipulate the functions exposed by an Agent. 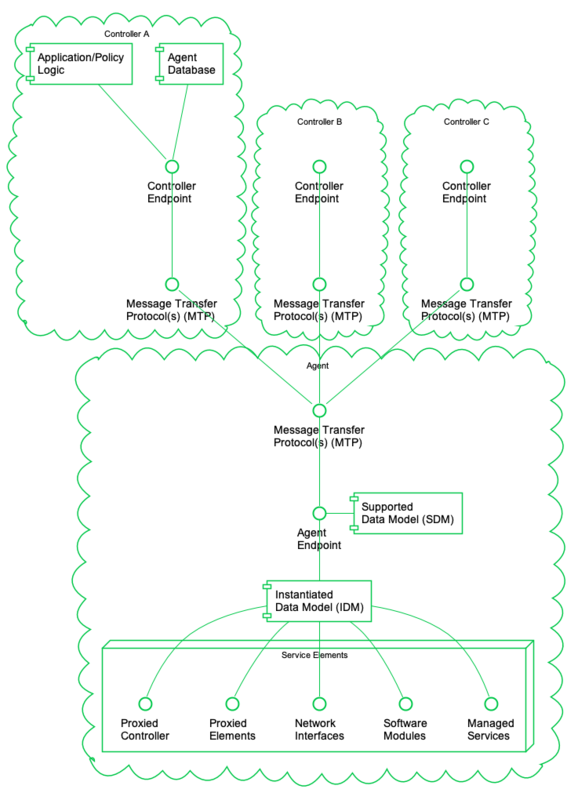 USP Agent and Controller Architecture (from TR-369). An authority-scheme, which gives a clue as to how the rest of the ID’s uniqueness was determined. For example, if the authority scheme is “oui”, then the authority-id will be formatted as an organizationally unique identifier as defined by the IEEE. An authority-id, whose value is determined by the authority scheme. Some authority schemes do not require an authority ID, so it is “optionally mandatory”. An instance-id, which may have some restrictions based on the authority scheme, plus some additional restrictions defined in TR-369. For example, the instance ID cannot be longer than 50 characters in length. The Endpoint ID is used in the to_id and from_id fields of a USP record. Endpoints must ignore messages that do not contain their own Endpoint Identifier in the to_id. While it is possible for a given Controller and Agent to have the same ID, these types of endpoints would never communicate with each other.